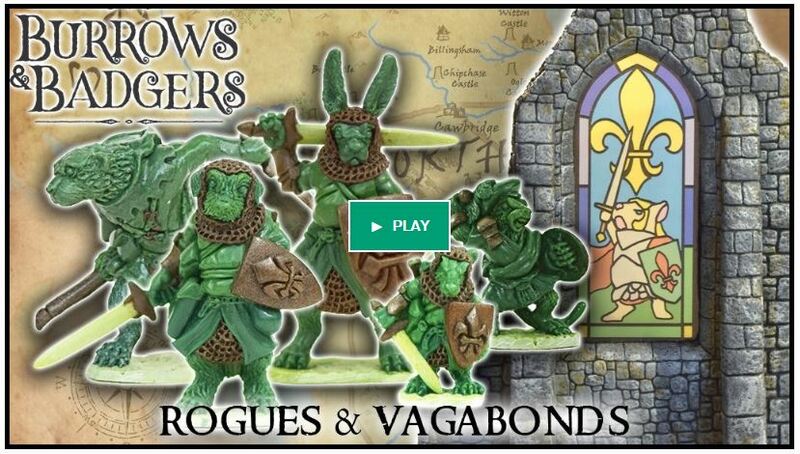 Oathsworn Miniatures have just launched a kickstarter to fund the latest additions to the Burrows & Badgers range of miniatures – Burrows & Badgers: Rogues & Vagabonds. Burrows & Badgers is a set of warband skirmish rules set in a fantasy world of anthropomorphic animals – think Wind in the Willows or Redwall. These new additions come just before the all-new rules will be launched from Osprey Publishing in April. The new collection include a couple of mice, a rat, a cat, a starling, an adder, a sparrowhawk, an otter, a hare and a border terrier, as well as a fantastic new terrain piece – complete with stained glass window. This is a truly fabulous model range, so I would highly recommend that you check them out – but you will have to hurry, as the latest Rogues & Vagabonds is only running until the 5th March, with delivery due in July 2018. Michael and Jo will be on the show in a few weeks to talk all about what they have been up to, including the new edition of the rules – make sure that you keep an eye out for that episode!